The Valiant Universe will never be the same! Valiant is proud to present a first look at the covers for HARBINGER WARS 2: AFTERMATH #1, a blistering standalone epilogue that hits stores on September 26th! 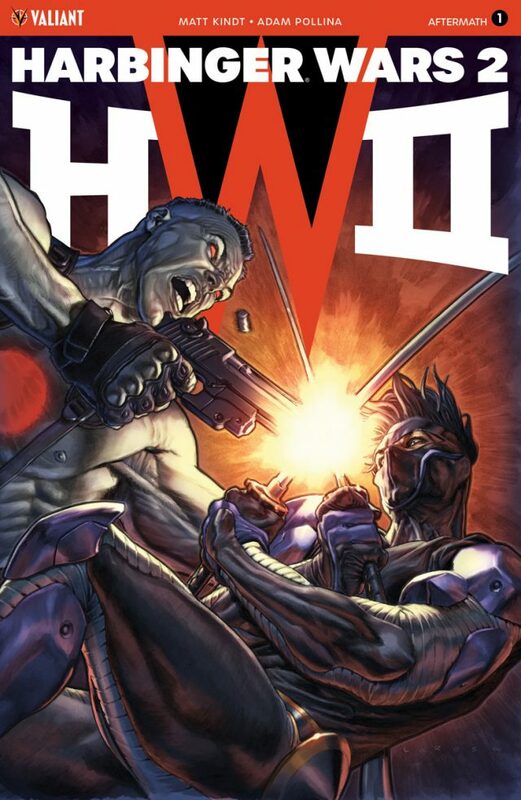 As the seismic summer event of 2018 comes to a close, Eisner Award-nominated writer Matt Kindt (X-O MANOWAR, ETERNITY) and legendary artist Adam Pollina (X-Force, SECRET WEAPONS #0) sort through the rubble of the most brutal confrontation ever felt in the Valiant Universe – and discover what lies beyond the bloodshed! On September 26th, Matt Kindt and Adam Pollina pick up the pieces of the most consequential clash ever to the country in HARBINGER WARS 2: AFTERMATH #1 – featuring covers by Raúl Allén (SECRET WEAPONS), Lewis LaRosa (BLOODSHOT SALVATION), and Felipe Massafera (Planet of the Apes/Green Lantern)! 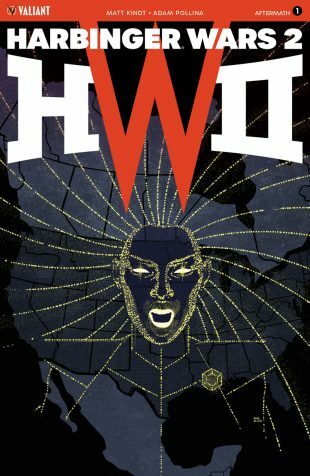 Even before Faith “Zephyr” Herbert gained the power of flight, joined the Harbinger Renegades, and soared through the skies of Los Angeles, deep down she was always a hero at heart. But what’s a hero to do in the face of a foe that exists only in nightmares? Face them head-on, of course! To protect the dreams of her teammate, Animalia, Faith must venture into a fantastical new realm the likes of which the Valiant Universe has never seen… and she’ll need some help from the world’s premiere parapsychologist, Dr. Mirage, to make it back with her subconscious mind still intact! 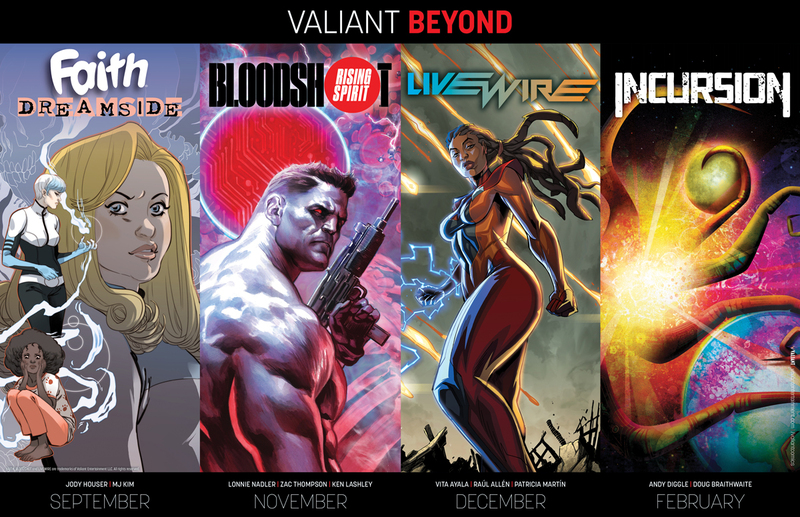 Once the dust of HARBINGER WARS 2 has settled, BEYOND will round out the end of Valiant’s 2018 publishing schedule and drive forward into the new year with FAITH: DREAMSIDE #1 in September; BLOODSHOT RISING SPIRIT #1 in November; LIVEWIRE #1 in December; and INCURSION #1 in February 2019!